R. Baron Designs: Bead Soup Blog Party #8 is up and running! Bead Soup Blog Party #8 is up and running! One of the best things to ever happen to my creativity was to stumble upon the Bead Soup Blog Parties that Lori Anderson hosts. The Blog Hops have gotten so popular, that they are now a once a year major event in the beading community! This year is the 8th exchange, and I have been lucky enough to be paired up with Pat Haight of Wigglebutt Creations. First of all, how can you not just *LOVE* that name? 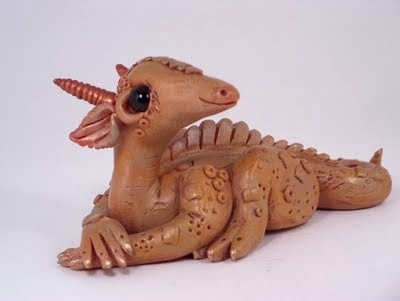 Her clay creations totally make me smile! Secondly, her clay beads and jewelry are simply beautiful! 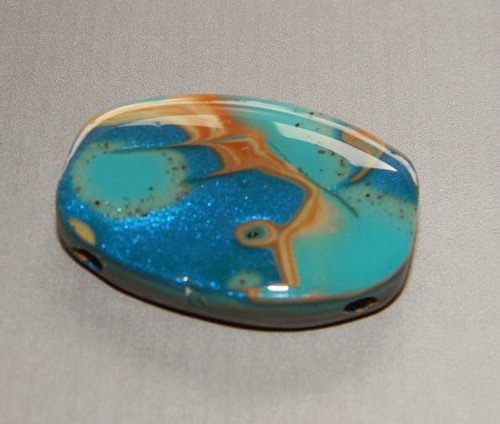 I especially love when a clay artist can create a bead that reminds me of my beloved glass. It is so cool to see! I will be sending out a very special soup to Pat this week, so she can hopefully have some fun creating for the Blog Hop come May 3rd!